R is for rabbits!! Or as I affectionately call them...cute little bunnies!! 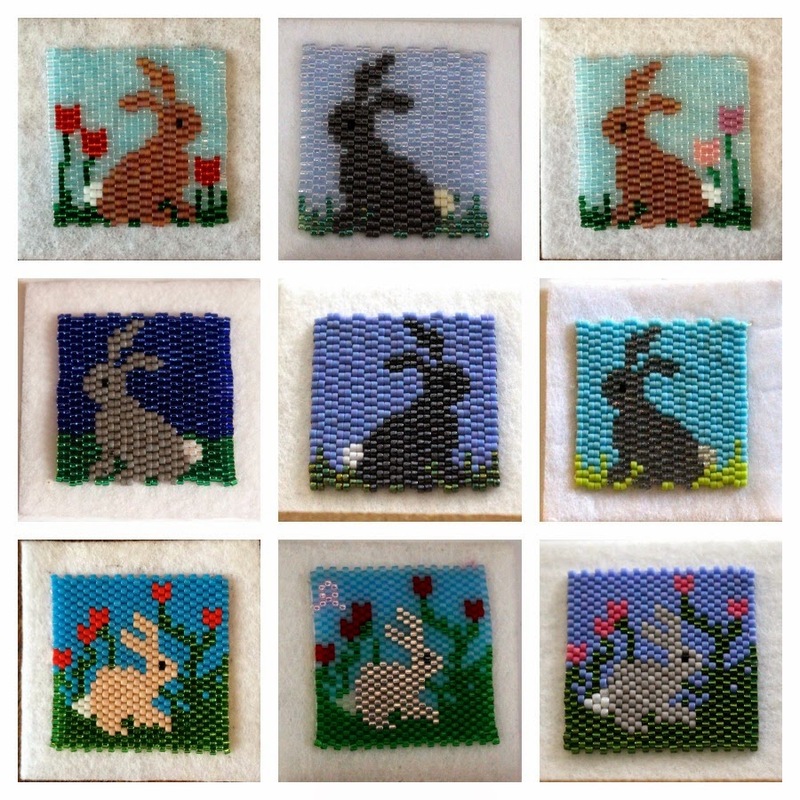 My friend Therese contributed some patterns for Bead-It-Forward this year and these bunnies were part of her collection of patterns! As always, it's super fun to see all the different colors and bead finishes that everyone selects for their square! Thank you again Therese for your contribution of patterns (and squares!) Stay tuned for later this week when we'll be starting the process of selecting a theme for next year's Bead-It-Forward project!! If you are looking for more A-Z Bloggers please click here! Check it out - you might find a new blog to follow! I know I have made new friends every year because of Blogging from A-Z! See you tomorrow for the letter "S". It was my pleasure to create and submit the Bunny Rabbit pattern for Bead-It-Forward. I am so thrilled to see all the different colors people have used for the squares and that some added flowers to the large bunny, made me think," now that was a good idea".